When you first arrive in Kyoto you’d be forgiven for thinking you’d come to the wrong place. 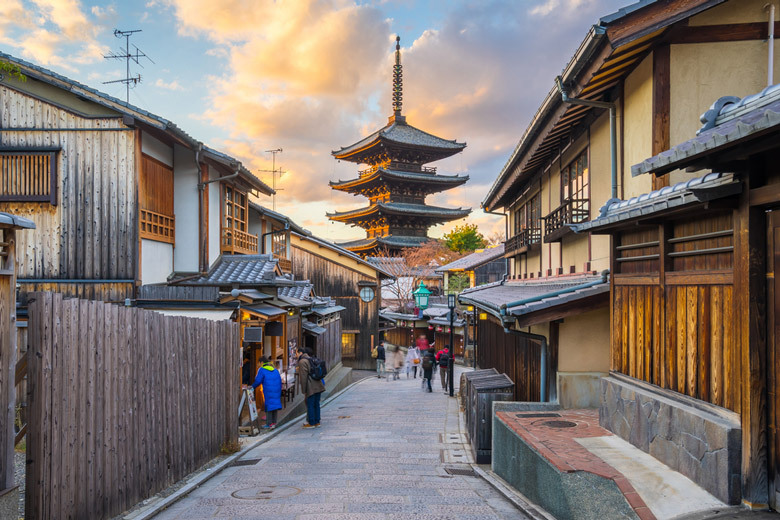 A bustling metropolis filled with people and buildings, Kyoto first appears to be a modern city yet look a little deeper and you’ll soon begin to see its more beautiful side. Awash with history and culture, Kyoto actually has a plethora of things to see and do including its numerous temples, palaces and parks. And there’s a reason why Kyoto has so much to offer. For more than one thousand years it was the Imperial capital of Japan, so as a city it was vastly important. But there’s also the fact that Kyoto was not substantially targeted for bombing during World War 2 meaning that many of its historical buildings have been preserved. In fact it’s one of only a few Japanese cities that still has many pre-war buildings, especially the pretty traditional wooden townhouses called Machiya. Despite the fact that Kyoto does have many historical buildings this is gradually changing as modern day residents demand more modern architecture. Don’t panic yet though, you can still visit Kyoto and enjoy its great architecture for a long time to come, especially its UNESCO World Heritage Sites of which there are fourteen in the city. Designated under the group listing of Historic Monuments of Ancient Kyoto these include temples and shrines as well as three other sites in the neighboring cities of Uji and Otsu. Because of their recognized importance these World Heritage Sites would be a good place to start a visit to Kyoto but there are so many amazing sites that choosing which one you visit over another can be a daunting task. To put this into some perspective, Kyoto actually has around 2,000 temples and shrines so if you saw one a day it would take you over five and a half years to visit all of them! Then there are the city’s numerous museums, plus its parks and palaces, and you might want to join in the celebrations during one of the city’s popular festivals. As a tourist, visiting a city of Kyoto’s size can be a little daunting. It is home to around 1.5 million people and is located on the island of Honshu in the Kansai Region. Though the city is big it has a grid pattern of streets that was inaugurated way back in the year 794 so this makes it a little easier to find your way around. Then there’s the extensive public transport system that you can make use of when you visit Kyoto. There are train lines, subway lines and buses to get you around, and if you want to explore under your own steam, bicycling is very popular in Kyoto. 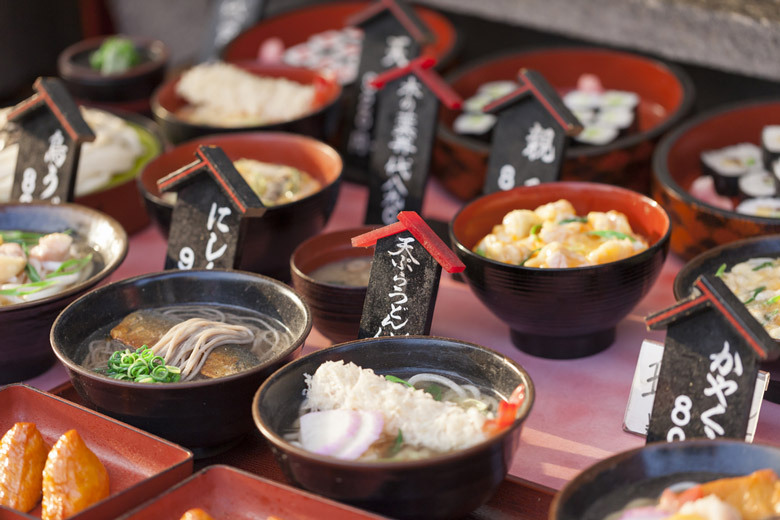 One more thing you may wish to visit Kyoto for is the cuisine. There are thousands of places to eat in the city and Kyoto is renowned for its tasty Japanese foods including some vegetables that are unique to the Kyoto area. 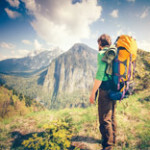 So don’t put it off any longer, arrange your own trip to Kyoto now!